Reading Group Special! Buy five or more books for $11.95 each and free shipping! A savings of 20%. Reading Group Special! Buy ten or more books for $8.95 each and free shipping! A savings of 40%. Between his natural good humor and the strictures of political expediency, Mr. Romney has carefully dealt with the enigma of polygamy that has faced the Church of Jesus Christ of Latter-day Saints for almost two hundred years. It is true that the church banned the practice of polygamy through the Manifestos of 1890 and 1904, and members who entered into the practice thereafter were excommunicated. However, the Church continues to believe in the concept. 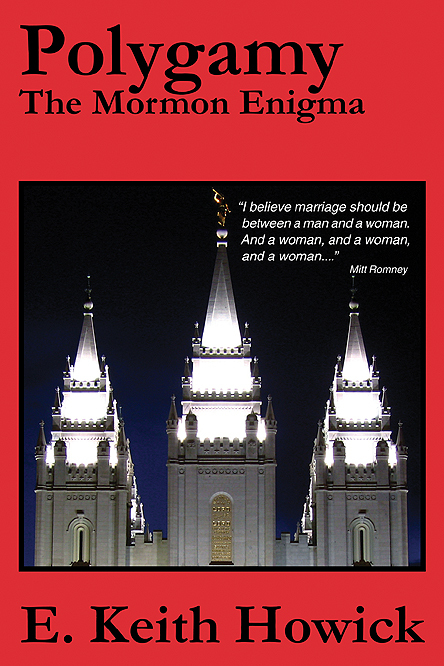 Even though the Manifestos eliminated the practice of plural marriage, the LDS Church is generally associated with the issue whenever it rears its controversial head. Inside these pages the Mormon enigma of polygamy is examined from its origin, practice, evolution, and legal entanglements to its present-day status and current political impact.